Economic to use with low electricity bill. Requires no chemicals, mats or sprays. 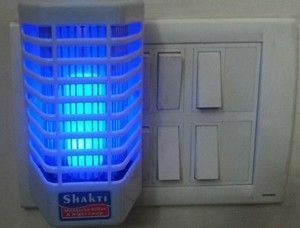 Attract bugs from the area immediately around you and kill them instantly. Can be used as Night Lamp.